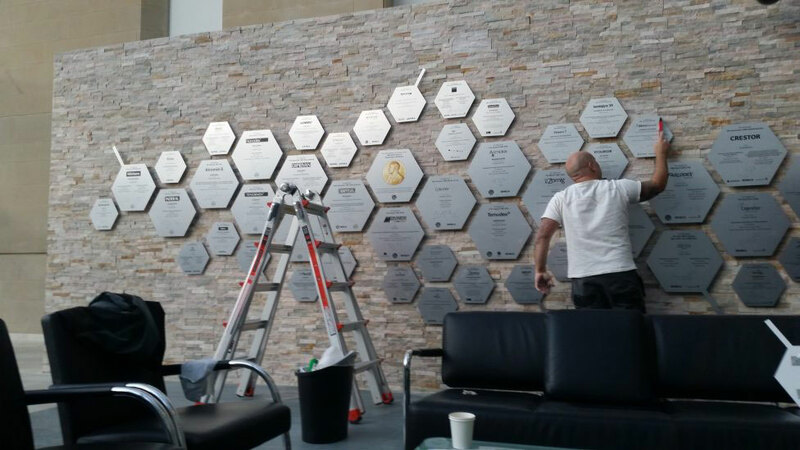 The bespoke signage, featured in AstraZeneca’s Alderley Park reception area, was designed to showcase the company’s legacy and the 25 products they’ve patented. 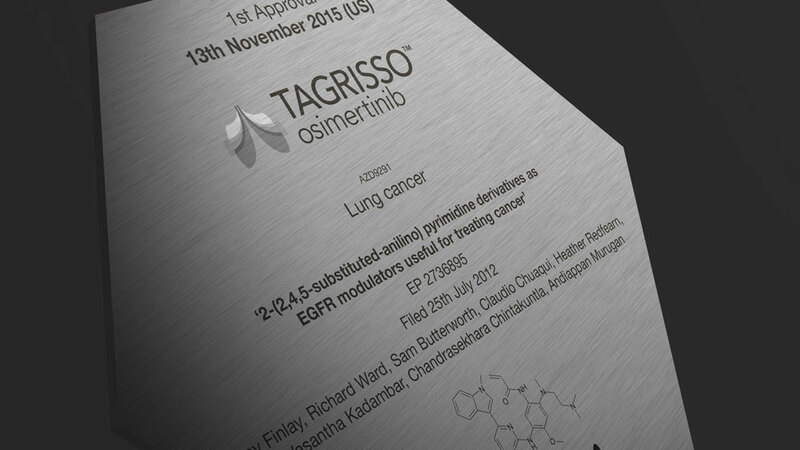 The patented medicines were made into hexagonal plaques, uniquely printed with their name and information onto brushed Dibond aluminum composite material. Spiral Colour explains, “The job at hand was a challenge to our team as each sign had to be placed completely flat, exactly 25mm away from the surface of an uneven brick wall.” This required a unique approach to ensure accuracy. 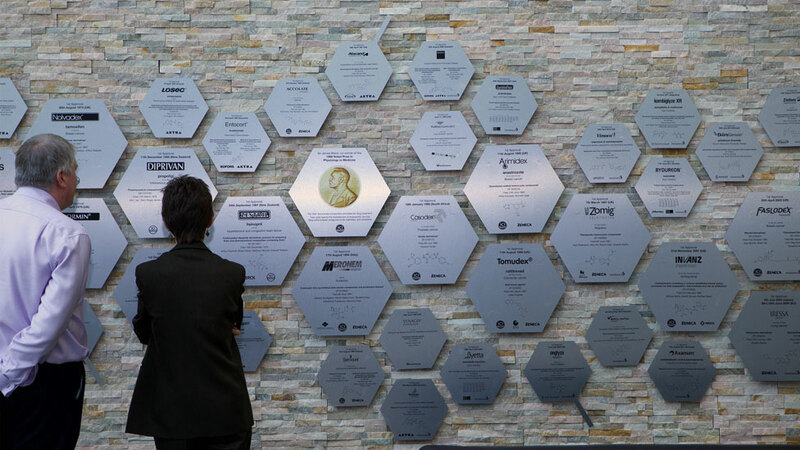 Prompting the designers at Spiral to create a wall template printed on a PVC banner that served as a “guideline” for the approximate placement of each plaque. 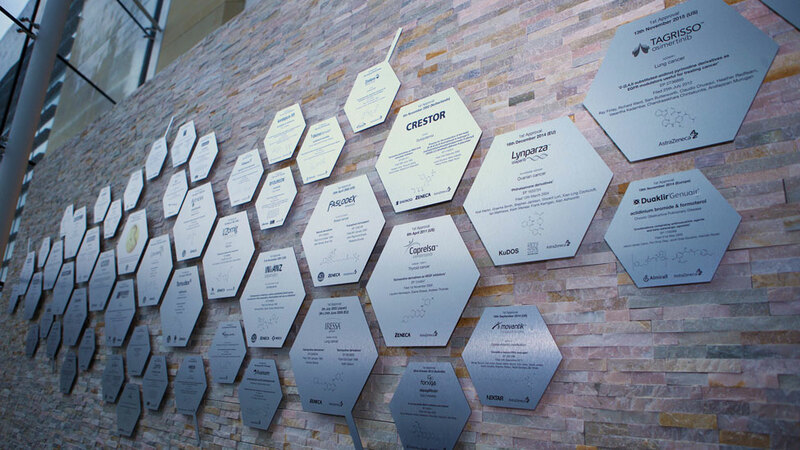 The hexagonal shaped panels were inspired by the molecular chains of the biological and pharmaceutical achievements of the group. The wall is intended to not only serve as a legacy wall but an inspiration wall as well, “…inspiring future generations of scientists,” representatives at Parker Design explain. 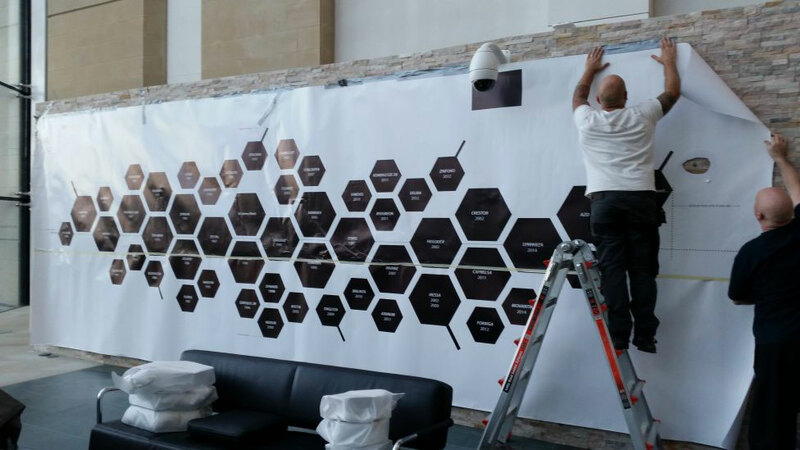 Parker Design Consultants and Spiral Colour have a long history of successful collaborations, often utilizing Dibond aluminum composite in their temporary signage and hoarding strategies.